With a whopping 250 pop, blues, country, rock and downright classic songs this fabulous collection has been expertly arranged by Robert Weule, the Music Director and Band Leader of The Blue Mountains Ukulele Club. Each song is written in full with easy to read chord diagrams, chord names and lyrics and carefully arranged so page turns mid-song are no longer required. 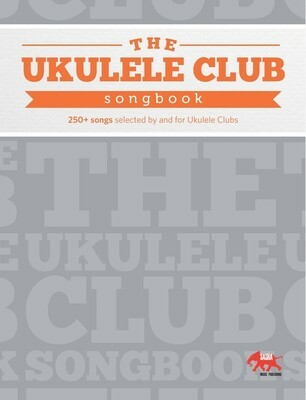 Add the bonus chord chart at the back of the book and the inclusion of many Australian and New Zealand songs and The Ukulele Club Songbook is destined to be a valuable resource to Uke players for a long time to come. 16 ARE YOU LONESOME TONIGHT? 62 DO YOU LOVE ME? 93 HAVE YOU EVER SEEN THE RAIN? 247 WHERE HAVE ALL THE FLOWERS GONE?